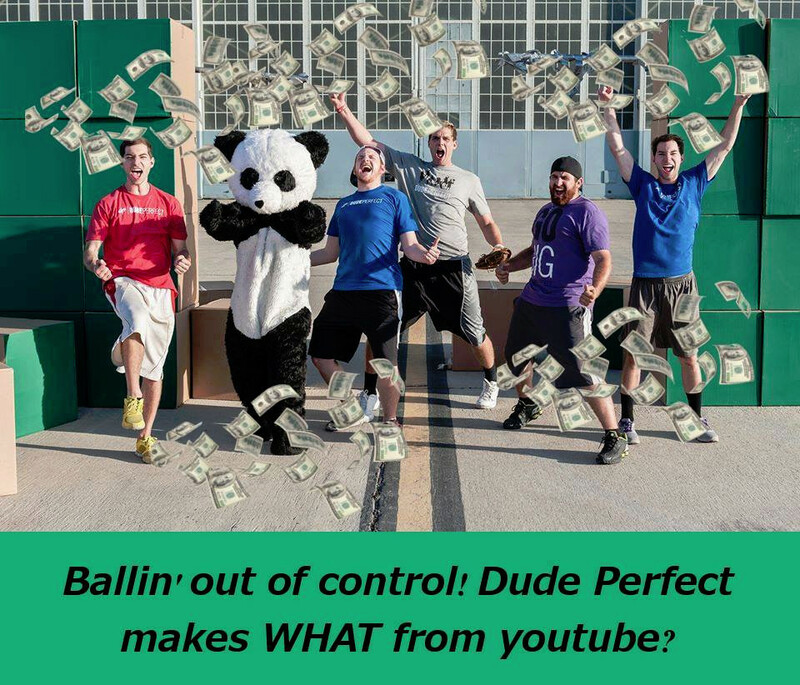 With over 2 billion views and counting, as well as over 11 million subscribers, the trick shot group of friends, known as Dude Perfect, have made anywhere between $3 million to $7 million USD from YouTube alone! And this doesn't even account for the many sponsorship deals they have made, or the very successfull iPhone apps they have created. It is amazing how they started off doing simple basketball trick shot videos to now becoming a large company with their own office building. Just goes to show you that if you have a passion, and if you can share that passion with the world on YouTube, you too could make a living doing what you love!